Organizing a long-distance move takes skill and preparation. That is why you may need the best moving company you can find. Our moving team is here to help you relocate with ease. Moreover, long-distance movers NJ are here to explain and guide you through the moving process. You can hire us to plan the whole long-distance moving process for you. With years of experience and all the equipment needed, we will make your move as stress-free as possible. All you need to do is to let us know the details regarding your move. How to choose the best NJ movers? With years of experience and all the equipment needed, we will make your move as stress-free as possible. Possible official complaints made to Better Business Bureau. The need for the detailed description of the inventory is very important for the moving process. Our professional estimators will come to your home and with your assistance, take inventory. That way we will make sure that every single item you desire to move is properly addressed. 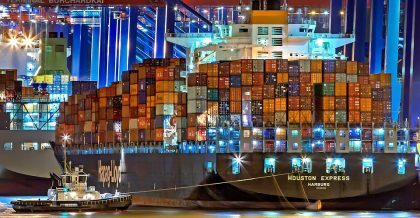 Also, during the moving process, when your belongings are in transport, we have to make sure that all of your items are on the boat fright or an airplane fright list. Long- distance movers NJ are here to help you avoid stress and plan the moving process for you. All you need to do is to give us all the details regarding your move. Also, you should tell us about your moving schedule and the delivery date. Using special packing supplies we make sure that your belongings are safe during the long-distance move. When you move long-distance to New Jersey, we are here to professionally pack everything for you. 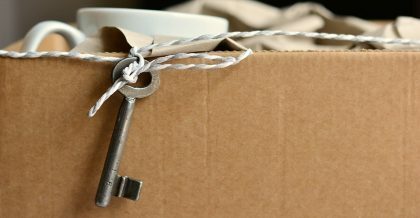 Using special packing supplies we make sure that your belongings are safe during the move. The long-distance move takes special preparation. That process includes securing all of your belongings professionally. That is important because your belongings may move or shake during transport. Our long-distance movers NJ are here to make sure your belongings come to their new destination undamaged. We take care of loading and unloading of your items during the entire long distance moving process. We are here to help you relocate your entire household, no matter if you live in a small apartment, a house or in a mansion. Also, our company provides help when you relocate your office. Commercial movers NJ are here to help you pack your office and relocate your complete office operation to a new location. Do you need any additional services we offer? Our professional movers are here to help you pack everything. You don’t have to deal with big and heavy furniture items or any huge appliances. Our company provides special and professional packing materials. They keep your belongings safe during the long-distance transport. Also, we provide a free moving quote to all of our clients. Even if you haven’t decided yet on a professional long distance moving company you want to hire, call us. We are here to offer free quote and advice. There are two types of moving quotes. A non-binding moving quote is the ballpark estimate of the price. When you know how much the non-binding quote is, you can calculate all of your moving costs. That is why long-distance movers NJ advise you to ask for the binding quote. The binding quote is the final price of the move with all additional services included. Your big furniture pieces won’t get damaged during the moving process. You shouldn’t worry that your pool table or your piano won’t fit. Do you need someone to help you disassemble big furniture pieces before the move? That is why we are here. Our trained professionals will make sure to disassemble all the big furniture pieces for you. On the other hand, if they cannot be taken apart, we are here to pack them and secure them properly for the move. You shouldn’t worry about the big furniture pieces. 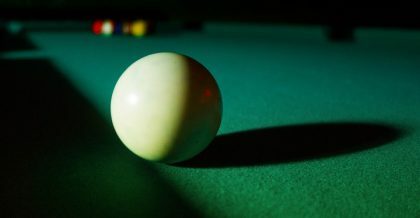 Your pool table or your piano will fit into the moving truck. After the move, we are here to make sure that every item is reassembled properly. We will take care of your fragile items and your artwork. Artwork pieces take special preparation for the move. That is why we take pride in securing everything to the best moving standards. Make sure to let us know if there are any fragile items or expensive artwork that need to be properly prepared for the move. We offer 30 free storage service. The service is available to all of our customers that use our moving services. Our moving company believes that the full service to the customers is the best service possible. That is why we offer 30 days free storage for our customers. The service is available to all of our customers that use our moving services. After the period of 30 days, you can extend the use of storage with the additional time-based fee. Our storage facilities have the latest security systems. Also, we hire professionals to assist with storing your belongings. If there are any belongings you don’t need at the moment, or you can’t fit them in your new smaller living space, storage units Bergen County will store your items for you. Our facilities provide storage units that are different in shape and size. That way you don’t have to pay for more storage space if you don’t need it. Prepare your items for storage – how to? Most of us who have never moved before, wonder about any special procedure when it comes to renting a storage unit. The most important thing is to contact us on time. We will make sure to secure and professionally pack your items before they are stored. It is best if you decide which items will go to storage before the moving day comes. 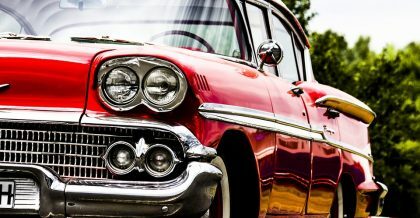 Do you need auto transport? Moving a car is quite complex and you need to make sure you hire the best moving company. Before you decide to transport your vehicle make sure you pick the reliable moving company for the job. Moving a car is quite complex and you need to make sure you hire the best moving company. Professional long-distance movers NJ advise that you check your vehicle before your movers come to collect it. For moving your car long-distance, we make sure that you get the best insurance possible. Before your movers take over your car, make sure to take pictures of it. Also, you shouldn’t forget to empty your car of any personal belongings before the move. Professional vehicle movers advise that you also disable your car alarm. Because it may cause a problem for your movers if it goes off during transport. Most people wonder if they should help their movers. If so, how should they do it? Here are some tips from long-distance movers NJ that will make your move a piece of cake. Make a plan on time – Making a plan for your move is very important. You should do it a month or two in advance. That way you will avoid any delays during your long-distance NJ move. If you don’t have time to organize your move by yourself consider us. We will help you move long distance without any trouble. Consider making a to-do list – The list will help you not to forget anything during the moving process. Know your delivery date – When you make a plan for your NJ move, make sure to consider the timeline of your move. When you are sure about your delivery date, your long-distance movers NJ can plan ahead. We will make sure your belongings arrive on time to your new address. Dispose of unnecessary items – When you plan your move, long distance movers NJ advise that you dispose of any items you no longer use or you don’t need. We advise that because we care. Our company charges by weight when moving long-distance. We hate to see you pay more money if you don’t have to. Consider that some items are more expensive to move long-distance than to buy them new for your home. You should set aside the items you no longer use. That way it will be easy to take pictures and sell them online. In a case you don’t have time for that, we suggest that you arrange a garage sale. When you organize a garage sale, you may have more money to cover other expenses. The best way to properly prepare your belongings for a move is to dispose of any hazardous materials before you start packing. There are some items most movers won’t relocate. That is why we advise that you contact us. Let us know if you are not sure about any item you want to move to your new location. Be aware that we will give you a list of all the items we are not able to relocate. 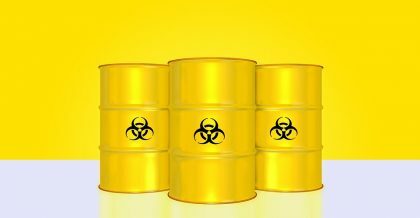 Hazardous materials – Items like batteries, paint cans, paint thinners, fire extinguishers, gas cans and similar items shouldn’t be packed with your other items. The best way to properly prepare your belongings for a move is to dispose of any hazardous materials before you start packing. Perishable food – When you start packing your home, make sure not to forget any food in your fridge or freezer. Any frozen food or open containers shouldn’t be on a packing list. Our long-distance movers NJ won’t usually pack any food for the long-distance move. The food may spoil. That is why we advise you to dispose of it before your movers arrive. Explosives – Your long-distance movers NJ may not be able to transfer any kind of explosives. Ammunition, gunpowder, guns or primers, propellants, or even souvenir explosives may be a problem during the long-distance move. Flammable fluids – Make sure to dispose of any flammable items before the move. Kerosene, charcoal, lighter fluid, paint remover and similar items shouldn’t be on your moving list. Power equipment with fuel – Any machinery that requires gas or the fuel to work should be properly prepared for the long-distance NJ move. Your motorcycle, lawn mower, weed eater should be fuel empty before your movers pack them for relocation. Why should you hire long-distance movers NJ? We are ready for any kind of a moving challenge. Put us to the test! Every customer has the option of 30 days of free storage with their move. 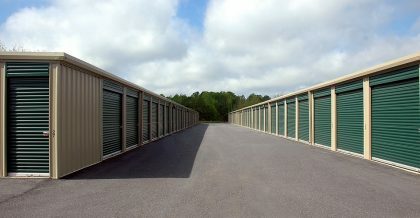 It is optional and can help save you a little money when needing short term storage services. Our crews are trained and prepared to disassemble and reassemble your items on pick up and delivery. Some items like furniture can be difficult to handle yourself so our crew is ready to do the job without damaging your items. Many customers think they have to load and unload their own items. That is not the case with New Jersey Transport. We are a full service moving company and provide both loading and unloading of all your items. Rest assured your items are in good care. When it comes to long distance moving, open communication is extremely important. We understand that you want your items and expect updates on all aspects of your move. That is why we work hard to keep an open line of communication with all customers giving them current updates on pick up and delivery details.